In 1984, Betty Mahmoody left the USA for Iran with her husband and daughter for what she was told would be a two-week visit to his family in Teheran. Once the visit was over, however, her husband refused to leave, and insisted that Betty and her daughter remain in Iran with him. She wrote about her experiences plotting her escape and fleeing to freedom in Not Without My Daughter (1991). It was adapted into a film starring Sally Field. Her second book, For the Love of a Child (1992), answered questions presented by readers from the first book, and discussed the issue of international parental child abduction. She became the co-founder and president of a foundation called One World: For Children. 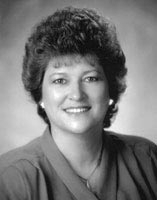 Betty Mahmoody is currently considered a "single author." If one or more works are by a distinct, homonymous authors, go ahead and split the author. Betty Mahmoody is composed of 5 names. You can examine and separate out names.